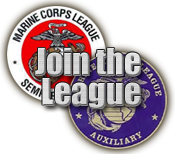 The Marine Corps League was established in June 1923, during a reunion in New York, of Marines who had served in the 1st World War. The League was chartered by an act of the United States Congress on August 4th, 1937. The League was authorized to assist and aid in presenting claims before the Veterans Administration by Public Law # 243, passed by the 74th Congress of the United States of America. 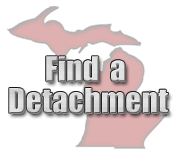 If there is not a detachment near you, call our Jr. Vice Commandant Al Pearson (231) 233-2237 for information about being a member at large or forming a detachment in your area.